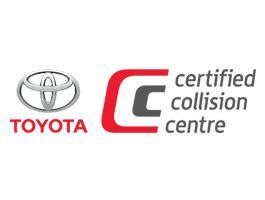 Auto repair Northumberland | Home | Cobourg Auto Collision Ltd.
Cobourg Auto Collision is officially certified & recognized by Certified Collision Care, Fiat Chrysler Automobiles, Ford, Toyota & Honda. We work with all insurance companies and we will handle your claim for you. Taking care of you. Being in an accident is scary, no matter how big or small. Our compassionate and experienced team will help you through the entire process of repairs and claims after an auto collision. 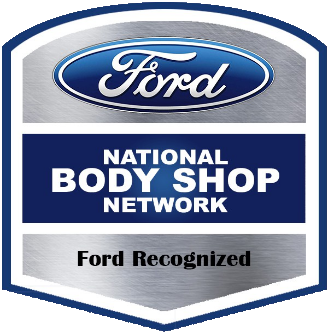 You can rest easy knowing that all of our auto body repairs are fully backed by a lifetime warranty. You can have confidence that our specialists will treat your car with care and will guarantee your satisfaction on all of our work. Looking for quick info? Visit our FAQ page to get the low-down on auto collisions, repairs and our services. You can also contact us at our shop in Cobourg or at any time with our 24-hour emergency roadside assistance number. We understand that needing your vehicle repaired can be a frustrating experience. After all, your car is probably the second largest investment you’ll make in your life. 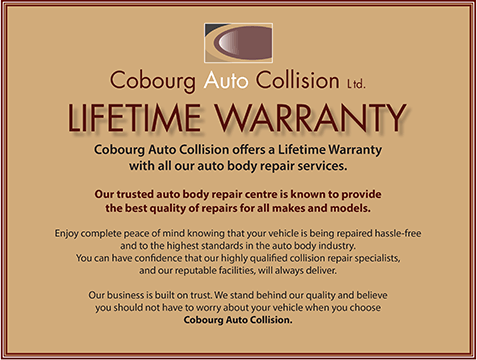 At Cobourg Auto Collision Ltd., we not only offer certified technicians to provide accurate and quality repairs, but we also offer a guiding hand through the insurance claim and repair process to put you at ease. Plus, our roadside assistance ensures you’re always safe on the road once you roll out of our shop! Cobourg Auto Collision Ltd. is able to verify and handle your insurance claims and estimates with all insurance companies. Please speak with our team about how you can easily submit your claim. "Wade…Just want to say…that is an EXCELLENT paint job…you folks do very nice work…"